More than 100,000 Iraqi Christians, already a tiny minority, are fleeing the Islamic State. They are torn between staying in a war zone or abandoning their 2,000-year-old cultural roots. 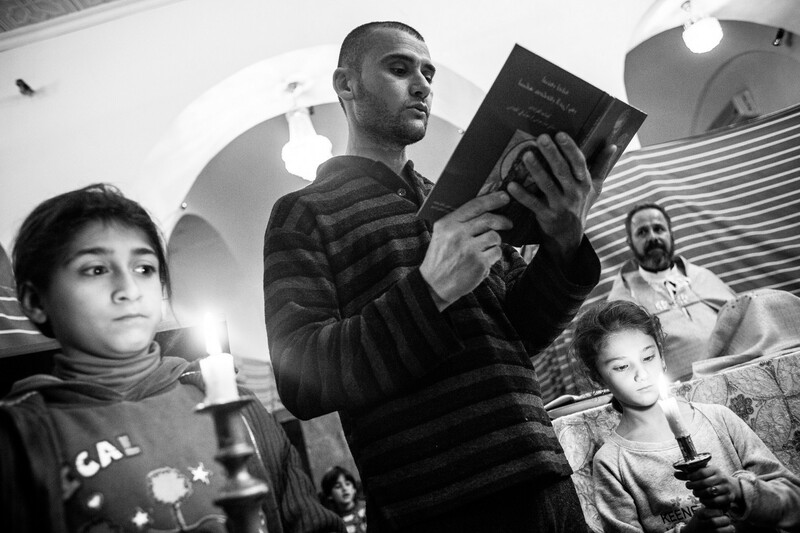 Times are dire for the last remaining Iraqi Christians. “Twenty years ago, we were 1.5 million. Now, the most optimistic figures are speaking about 350.000,” states Archimandrit Emanuel Youkhana, head of Iraq’s largest Christian relief organization, CAPNI. Youkhana is not a man of endless lamenting. Throughout the past decade, he tended to his community and tried to weather the years of civil war. But now, with the rise of the Islamic State militant group, his words have become hard and bitter. “This disaster broke the co-existence, the links between the different religions. Wherever you go, ask a Yazidi or Christian. They feel they have been betrayed by their next-door neighbor.” The Islamic State — also known as ISIS, ISIL and Daesh — declared Mosul, about 20 miles from the Iraqi Christian heartland in the Nineveh plains, its capital in June. One specific Christian community from the Nineveh plains, the Assyrians, cherish a culture much older than Christianity — and it is their historic sites in Nimrud and other places that the Islamic State has been destroying relentlessly.